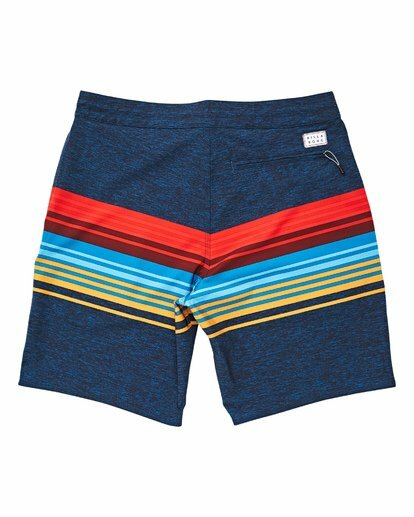 Stacked engineered stripes set off the Kids Spinner LT boardshort, a performance fit boardshort built for all day comfort. 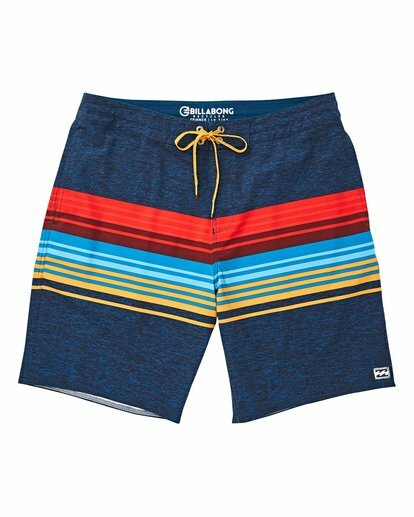 This Lo Tide boardshort is made with our 4 way pro stretch fabric, features side pockets and a lasso waist. Engineered stripe print design, additional zip pocket at back right. Micro repel coating. Made with 90% recycled polyester / 10% elastane.